The smartest sedan in the Ford lineup is now available at Van Isle Ford. The 2017 Ford Focus is one of the most impressive compact cars available with the sleekest design ever. With a design that screams performance, from the lower valences and rocker moldings to its performance-inspired rear spoiler and unique bright-tipped center-exit exhaust, the all-new Ford Focus is also more powerful than ever. Thanks to its several authoritative engine choices, including a 1.0-litre Ecoboost, which has taken top honors in the sub-1.0-litre category for the last five years and a 2.0-litre Ti-VCT engine, which offers dynamic four-cylinder performance, the Focus is bypassing the competition. Along with a powerful looking exterior, the Focus also includes a racing inspired interior. With heated, leather seating, standard leather and alloy gear shift knob, scuff plates, aluminum pedals, and a flat-bottom and leather-wrapped steering wheel, carbon-fiber interior accents, heated steering wheel and heated sideview mirrors. In order for both you and your passengers to be as comfortable as possible, the Focus also includes dual-zone automatic temperature control with individualized temperature settings. This all-new compact car even offers 100 percent guilt-free driving fun thanks to the 2017 Ford Focus Electric. This environmentally friendly sedan needs zero gas, zero oil changes and produces zero CO2 emissions. The Focus Electric also offers smooth acceleration and is fully charged for any trip in as little as 5.5 hours. Along with looking and feeling good, the 2017 Ford Focus is also a highly connected compact car. With easy to use driver-assist technologies like a Blind Spot Information System with cross-traffic alert, Reverse Sensing System, Lane-Keeping System, active park assist and SYNC 3 voice-recognition software. A fully-loaded rear view camera also makes backing out of tight parking spots a breeze. Top this all off with the MyFord Mobile app that lets you monitor your Focus, including the charging process of your electric Focus model, all by tapping your smartphone screen. 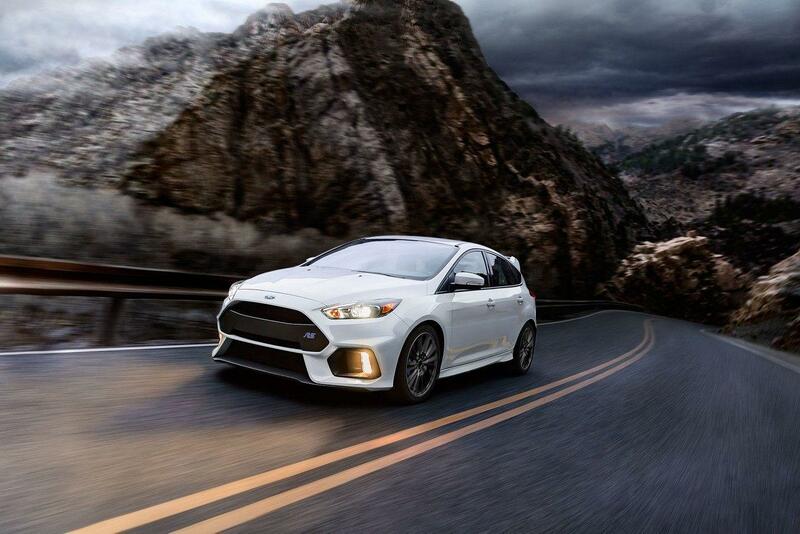 Are you ready to check out the sporty Ford Focus for yourself? Schedule a test drive at Port Alberni, BC Ford dealer.